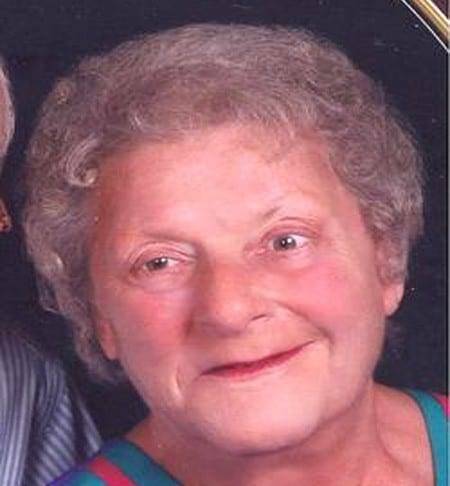 Pauline Mae Zimmerman, age 90, passed away at Fulton Manor on Saturday, April 13, 2019, with her loving family by her bedside. Pauline was born on June 14, 1928 in Stryker, Ohio, the daughter of Emile and Myrtie (Planson) Haye. She met her husband, Myrl R. Zimmerman, in Bryan, Ohio, and they were married on January 7, 1951. He preceded her in death on May 4, 2017. Pauline began her working career in the early 1950’s at the Wire Factory. Later in the decade she changed employers and began working at Sterlings as a register and soda fountain clerk. In 1964 she took employment with McCord Corporation and worked on the assembly line packaging automotive gaskets until her retirement in 1990. Pauline enjoyed a long list of hobbies which included knitting, quilting, crocheting, ceramics, flower gardening, and anything that took her outdoors. She was a wonderful homemaker, cook, home decorator, and mother to her kids. Pauline was a member of the local UAW chapter and St. John’s Christian Church. She is survived by son Tom (Deb), daughter Lynda (Brent) Schnitkey; grandchildren, Tiffany, Casey (Brittany), Tyson (Darian – fiance’), and great-grandchildren, Luke and Harper, and one brother Ed Haye of Florida. Visitation will be held from 4-7 PM Tuesday, April 16, 2019, at Short Funeral Home in Archbold. Burial at Wauseon Union Cemetery will take place at 10 AM Wednesday, April 17, 2019, and it will precede the Celebration of Life Service at 11:30 AM at St. John’s Christian Church, Archbold. The family requests that memorial contributions be made to St. John’s Christian Church. Be the first to comment on "Pauline Zimmerman (1928-2019)"